Cinco de Mayo, Spanish for "the Fifth of May," celebrates Mexico's defeat of the French at the Battle of Puebla on May 5, 1862. If you'll be in the Dallas-Fort Worth area on the weekend of May 5, celebrate at one of these bars or restaurants offering Cinco de Mayo specials on food and beverages along with other activities such as live music and dancing. Cinco de Mayo is always a fun day full of surprises at Desperados, a local DFW favorite established in 1976. Order the Mexican Flag Enchiladas (chicken enchiladas topped with tomatillo, sour cream, and chipotle sauce) and $6 Cinco-Ritas with sangria and Midori. You can also win prizes such as T-shirts, salsa, gift certificates, and more. Shake your maracas at El Ranchito this Cinco de Mayo where guests can enjoy drink and food specials, dancing, and mariachis. El Ranchito specializes in Comida Norteño (northern Mexican food) and Tex-Mex dishes such as cabrito (roast kid goat), mollejas (sweetbreads), and asado de puerco (roasted pork). For Cinco de Mayo look forward to their $5.00 cheese enchilada dinner. Come to La Calle Doce this Cinco de Mayo and enjoy specials like $5 Bandera shots. Since 1981, La Calle Doce has been serving delicious and authentic Mexican seafood from a small renovated house in Oak Cliff and in 1999, its Lakewood location opened. Los Molcajetes' location in Fort Worth will celebrate Cinco de Mayo with live entertainment featuring three bands plus a DJ spinning until closing time. Music begins at 3 p.m. 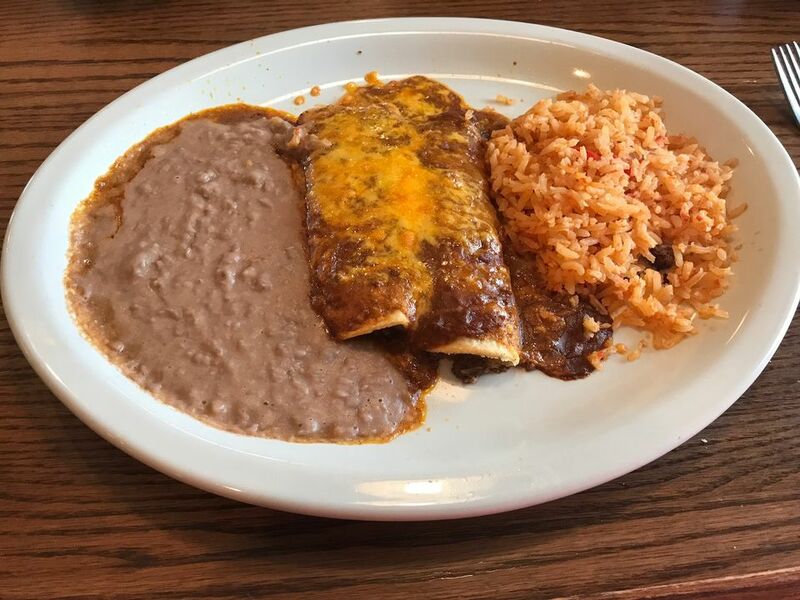 Since 1999, Los Molcajetes has served traditional Mexican food. Other locations are in Roanoke and Mansfield. Party with your amigos at any of the three Mattito's locations. Enjoy a live DJ, Mariachis, games, prizes, and drink and food specials. Look for cuisine from their Tex-Mex menu. On the Border is celebrating Cinco de Mayo with $5 Cinco 'Ritas and shot specials starting at $3. This year they have a specialty margarita called the “Mango Loco Rita,” a mix of Juice Monster Mango Loco, Grenadine, and tequila, available April 22 – May 5, 2019. On the Border has multiple locations in Dallas and Ft. Worth (27) in addition to their Knox Street restaurant. Urban Taco is the place to be this Cinco de Mayo. The restaurant traditionally celebrates Mexican heritage from 2 to 10 p.m. with $5 Casa Noble margaritas and $3 Modelo Especial beer. Also adding to the fun is usually mariachis and two DJs. In the mood for some great tacos on Cinco de Mayo? The Dallas–Fort Worth area is home to hundreds of taco options. These local places serve up some of the best. Favorites include The Rusty Taco where they make their tacos by hand and serve up a menu of tacos, chips, salsa, queso, guacamole, and beverages. The signature taco is achiote pork with grilled pineapple. Also a favorite, Fuzzy's, is a casual place that features Baja-style tacos which are made with a variety of meats and then topped with fresh lettuce, tomatoes, garlic sauce, cheese, and feta cheese. They do take-out and catering.